The second month of the year is February which is the smallest among the twelve months. This 28 day month is full of holidays and therefore you can plan a lot of outstation visits or a trip or a romantic date for your partner. 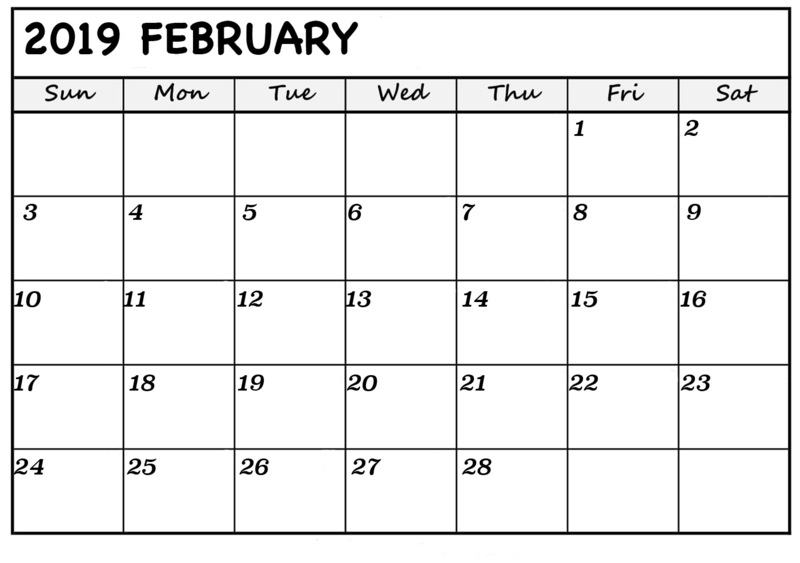 Basically February has only 28 days but in a leap year it comprises of 29 days. The name February was originated after the Roman festival of Purification known as Februalia. You can print a calendar online with all the customizations that you require in your calendar. All you need to do is to log on to any of the websites that provide printable calendar online, customize it and then get a print out of it. Online calendar is a place where you can create your own calendar for any country and for any month and year. You can either download or print the plain calendar. Also such calendars provide you the choice for the start of the week, whether it will be starting from Sunday or from Monday. Also such calendars are present in pdf formats for greater ease. The calendar contains of a blank space for each day in which you can either manually fill the details for any day (days) or you can customize them on MS Word or any such application. Also there are photo calendars available where you can attach a photograph on any day of the month in order to personalize it and then you’ll never forget birthdays and anniversaries of your loved ones. According to Indian calendar there are few holidays or events in the month of February. Some of these events and holidays are listed below. Monday, 4 Feb- it is celebrated as World Cancer Day. Friday, 8 Feb- this day is celebrated as Proposal day. Sunday, 10 Feb- it is going to be celebrated as Vasant Panchmi. Sunday, 10 Feb- this day is celebrated as the Teddy Day. Thursday, 14 Feb- it is celebrated as Valentine’s Day. Tuesday, 19 Feb- on this day Shivaji Jayanti is celebrated which is an optional holiday. Tuesday, 19 Feb- this day is also celebrated as Guru Ravidas Jayanti. Apart from the holidays the month involves a no-moon day or Amavasya on Tuesday, 5 Feb. and a full-moon day or Purnima on Tuesday, 19 Feb. so you’ve got your dates, you’ve got your calendar, so just start working and make the best personalized calendar for you.